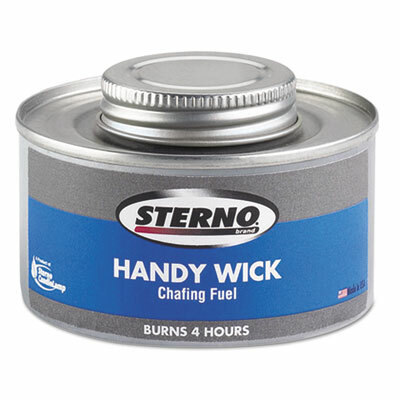 Handy Wick� chafing fuel cans stay cool even after lit to ensure safe handling. With their handy twist cap, they are easily resealable and reusable. They provide a reliable burn time with a maximum temperature of 170 degrees Fahrenheit. They come in safe, spill-proof packaging and are ideal for large beverage urns and soup tureens. Fuel Type: Methanol; Physical Form: Gel; Capacity (Volume): 4hr; Capacity (Weight): .5 lb. 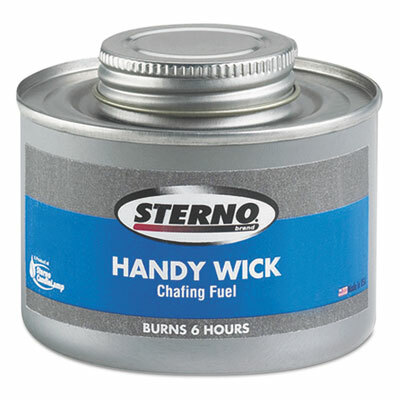 Handy Wick� chafing fuel cans stay cool even after lit to ensure safe handling. With their handy twist cap, they are easily resealable and reusable. They provide a reliable burn time with a maximum temperature of 170 degrees Fahrenheit. 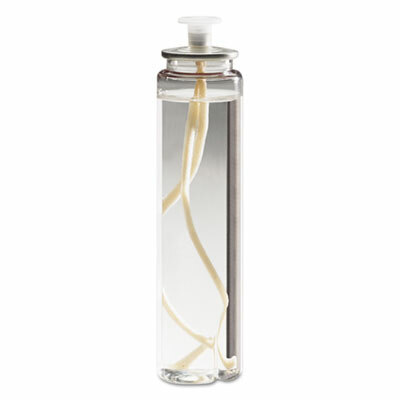 They come in safe, spill-proof packaging and are ideal for large beverage urns and soup tureens. Fuel Type: Methanol; Physical Form: Gel; Capacity (Volume): 6hr; Capacity (Weight): .69 lb. Low maintenance and unscented. A great choice for food service. Clean burning and refined formula. Provides a real flame ambiance without the time-consuming cleanup associated with standard wax candles. 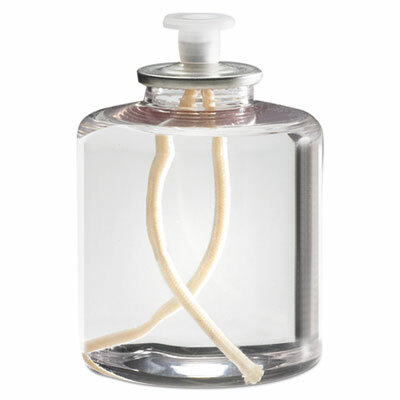 Fuel Type: Liquid Paraffin; Physical Form: Liquid; Capacity (Volume): 74 g; Packing Type: PET Bottle. Low maintenance and unscented. A great choice for food service. Clean burning and refined formula. Provides a real flame ambiance without the time-consuming cleanup associated with standard wax candles. Fuel Type: Liquid Paraffin; Physical Form: Liquid; Packing Type: PET Bottle; Grade: Commercial. 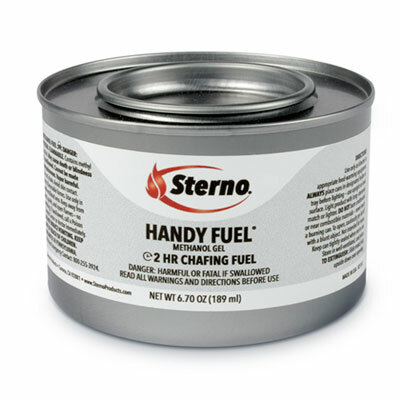 These chafing fuel cans stay cool even when lit, ensuring safe handling. They have a consistent heat output, maintaining food within the temperature safety zone above 141 degrees Fahrenheit, with a maximum temperature of 175 degrees. 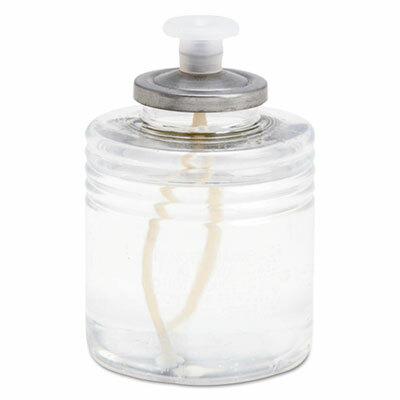 The replaceable twist cap makes it resealable and reusable. Spill-proof with a reliable six-hour burn time. Ideal for large beverage urns and soup tureens. Fuel Type: Methanol; Physical Form: Gel; Capacity (Volume): 1.89g; Packing Type: Can. Low maintenance and unscented. A great choice for food service. Clean burning and refined formula. Provides a real flame ambiance without the time-consuming cleanup associated with standard wax candles. 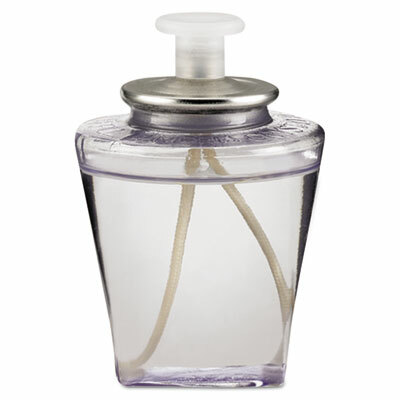 Fuel Type: Liquid Paraffin; Physical Form: Liquid; Capacity (Volume): 126 g; Packing Type: PET Bottle. Provides optimal heat output. Created to reach and maintain the minimum food holding temperature of 140 degrees fahrenheit. Ideal for food applications because of its reliable, steady burn and is versatile enough to be used with a broad range of equipment. Fuel Type: Ethanol; Physical Form: Gel; Capacity (Volume): 182.4 g; Packing Type: Can. Soft light liquid candles provide real flame ambience without the messy drippings and time-consuming cleanup associated with standard wax candles. Clean liquid paraffin safe for use in foodservice operations. 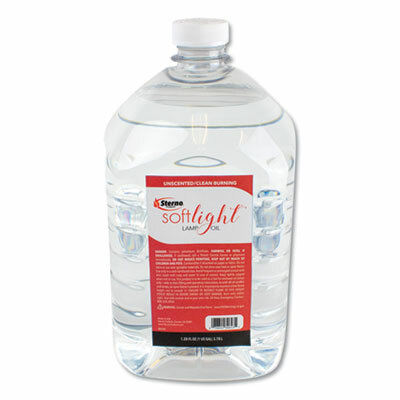 Fuel Type: Liquid Paraffin; Physical Form: Liquid; Capacity (Volume): 1 gal; Packing Type: Bottle. Improve your diesel engine's overall performance when you choose CF5D+. 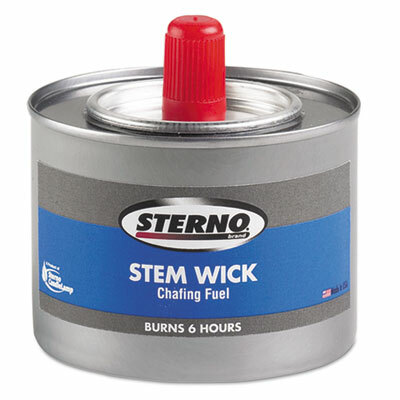 Special formula increases cetane content, resulting in fast, reliable contact ignition. Flow enhancers minimize clouding and gelling under cold-temperature conditions, ensuring proper continuity through fuel lines and filters. Fuel Type: Diesel; Physical Form: Liquid; Capacity (Volume): 6 gal; Packing Type: Bottle. 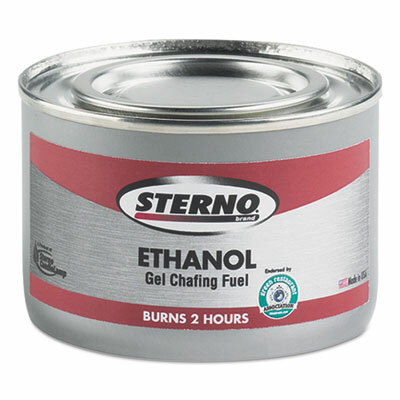 Methanol gel chafing fuel cans create a high and consistent heat output. Burns up to two hours and produce a maximum temperature of 175 degrees Fahrenheit. They are ideal for full-size chafing dishes and great for use with hot boxes. 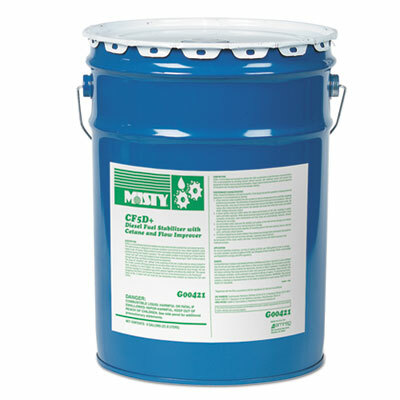 Fuel Type: Methanol; Physical Form: Gel; Capacity (Volume): 189.9 g; Packing Type: Can. Low maintenance and unscented. A great choice for food service. Clean burning and refined formula. Provides a real flame ambiance without the time-consuming cleanup associated with standard wax candles. Fuel Type: Liquid Paraffin; Physical Form: Liquid; Capacity (Volume): 46.5 g; Packing Type: PET Bottle.